Putnam County Playhouse: 20 Years Ago! PCPH 1997!! 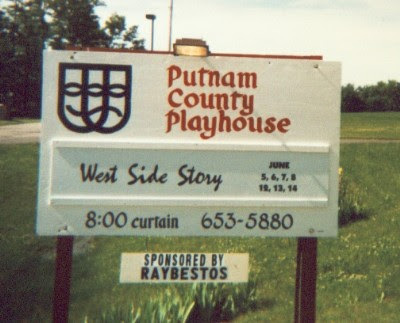 Twenty years ago, we were still using the Little Barn for our dressing rooms. Our driveway was unpaved. And we were using our painted sign down by Round Barn Road. We opened the season with a production of West Side Story. 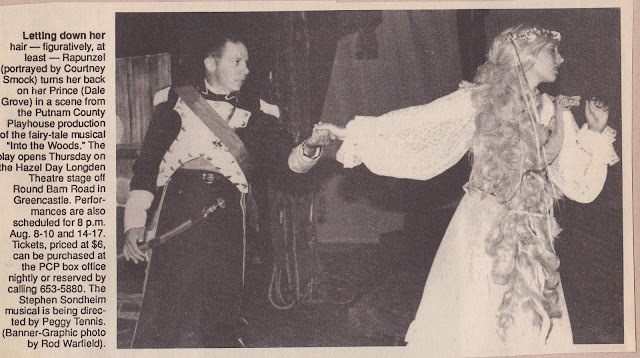 It was directed and choreographed by Lita Sandy, who had choreographed the 1975 production of the show directed by Vickie Parker. Musical director was Debby [Thompson] Lambert. Leading roles were taken by Dale Grove, Hope Homler, Brad Sandy, Dan Stockton, and Sherry Hedge. Board President was Bob Hedge. 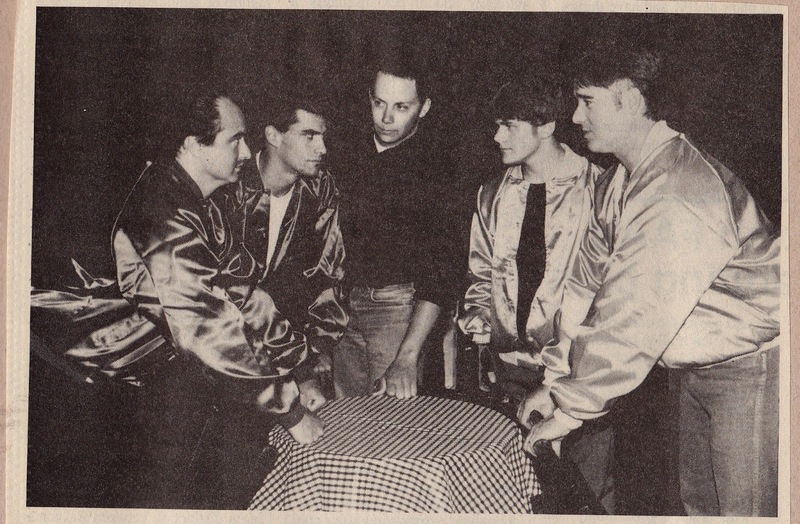 Also serving as officers were Vickie Parker, Ernie Ford, Mark Hammer, and Jack Randall Earles. Board members were Judy Berry, Kim Hinkle Brattain, Tim Dibble, Nicha Flick, Bill Frisbie, Linda Gjesvold, Dale Grove, Mike Hayes, Linda Miller, Brad Sandy, Peggy Tennis, and Debbie Thompson. 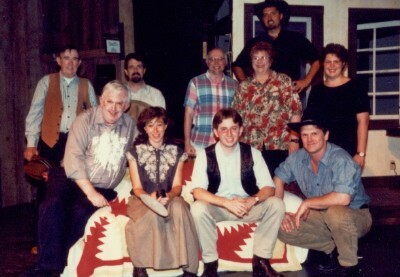 The July production was the comedy-drama The Rainmaker. The leading roles were played by Gigi Fenlon Jennewein and Robert Neal - both making their PCPH debuts. It was directed by Jack Randall Earles. 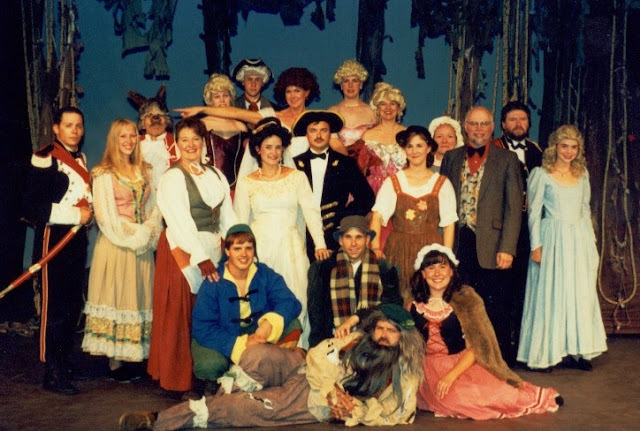 In August, PCPH presented its first production of Stephen Sondheim's Into the Woods. It was directed by Peggy McClaine [Tennis]. Musical director was Bob Hedge with choreography by Nicha Flick and Kim Hinkle Brattain. 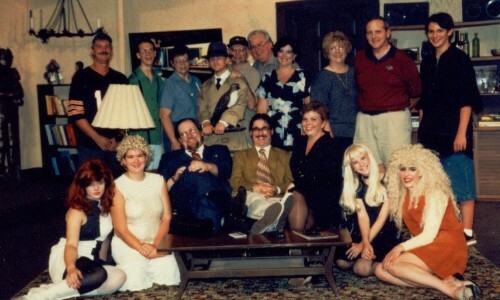 Playing leading roles were Debby [Thompson] Lambert, Melodie Taylor, Mike Hayes, Bob Hedge, Sherry Hedge, Adam Chandler, Dale Grove, and Marc Adams. Linda Gjesvold also made a rare onstage appearance. 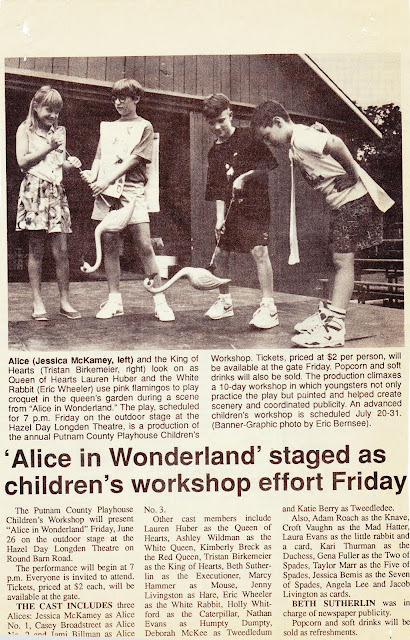 The Children's Workshop presented Alice In Wonderland. 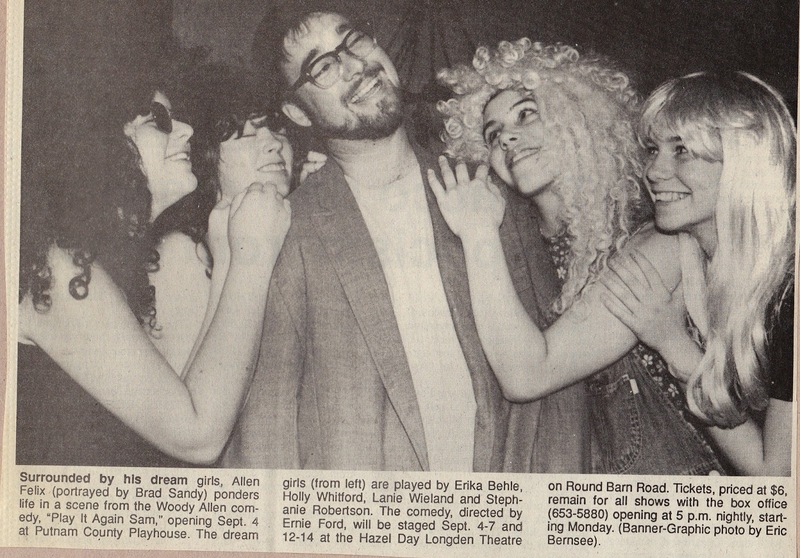 The season came to an end in September with a production of the Woody Allen comedy Play It Again, Sam directed by Ernie Ford. 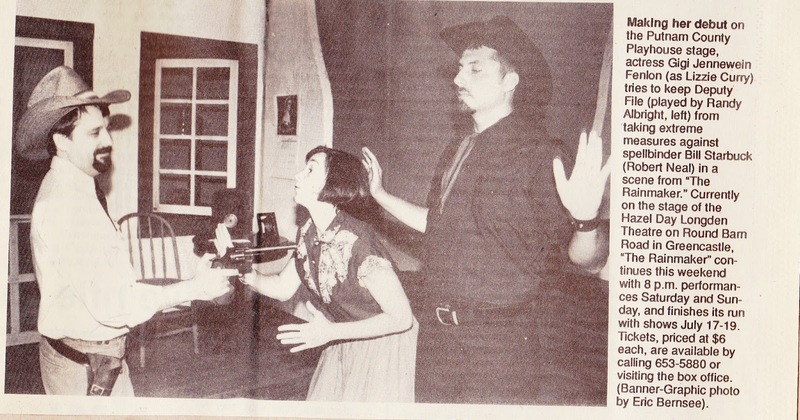 Leading roles were played by Brad Sandy, Karen Temple, and Croft Vaughn.